Spain is a country practically bursting with churches. 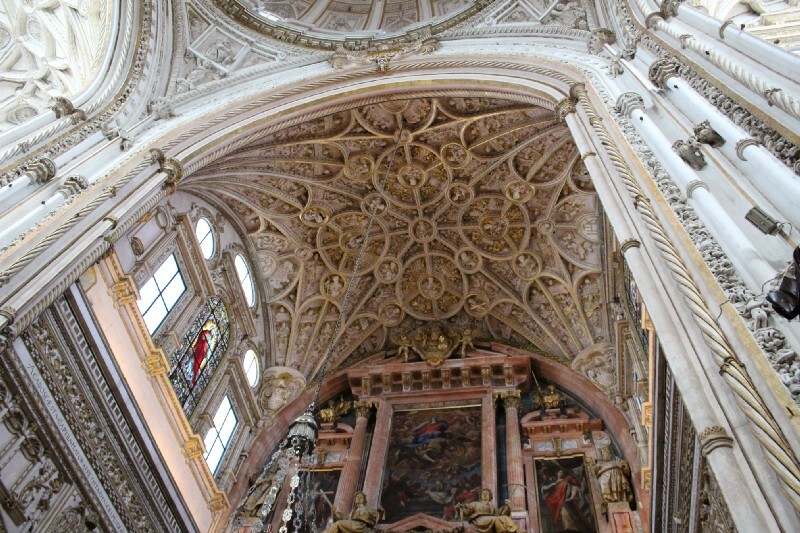 When I traveled there in Spring 2017, it seemed that every town I visited, even the smaller ones, had at least one old church dating back a few hundred years, while the larger cities had one or more massive cathedrals that were as old or older. 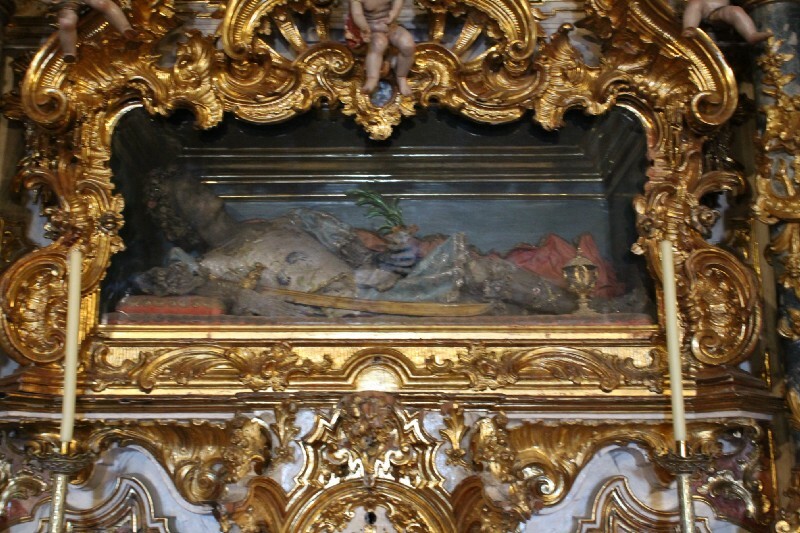 Enter any of these halls of worship and you will find high, arching ceilings, statues, paintings, and other artwork depicting religious iconography, and, in some cases, the bones of saints. Before traveling to Spain I had never been in a cathedral before, and I don’t think I was prepared for just how overwhelming they can be. The high ceilings make you feel small, and the array of religious artwork depicting very stoic-looking individuals reminds you that the building you are in was meant to be a place of serious religious reflection. 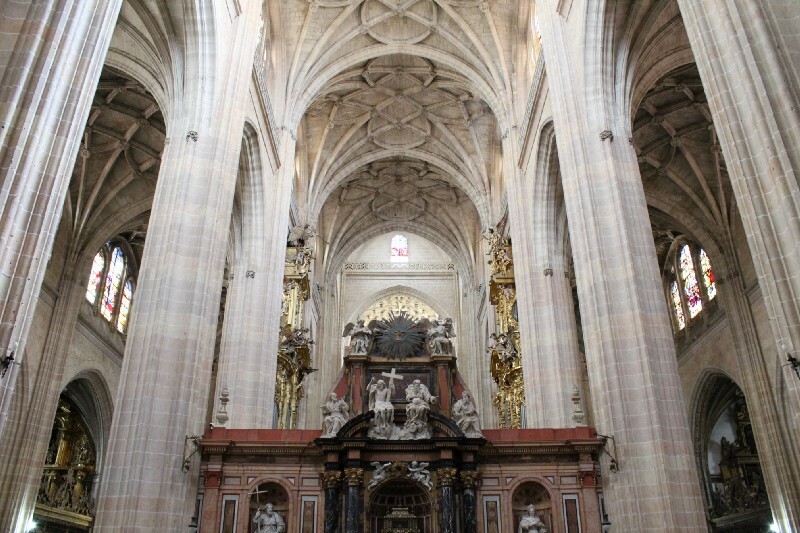 Everything in the cathedrals was ostensibly put there to show the glory of God and Christ. But Jesus didn’t want people to build extravagant structures in his name, and in reality it seems to me like the cathedrals are more about the glory of man’s achievements. I believe someone told me that the overwhelming nature of the cathedrals is intentional, that you are supposed to feel overwhelmed and humbled because you should be humble before God. Which I guess makes sense, but I couldn’t shake the feeling that I was standing in the middle of man’s desperate attempt to be remembered. The Renaissance cathedral in the middle of the Mezquita, in Córdoba. 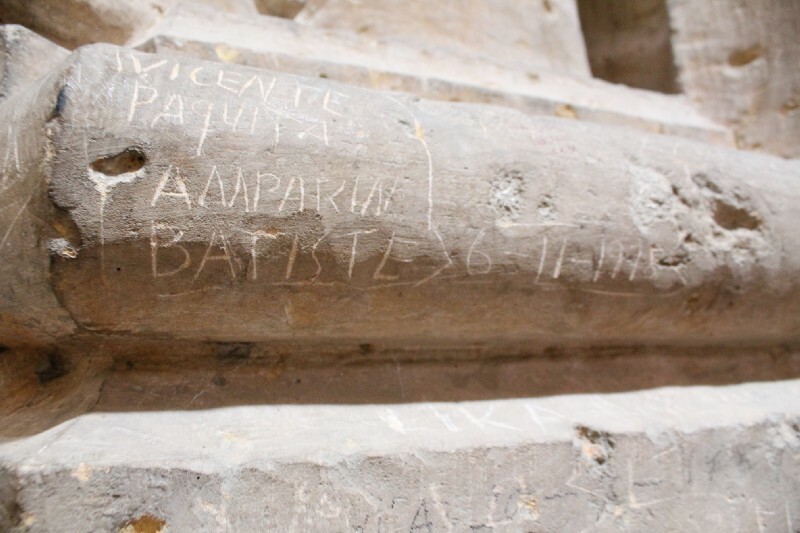 In one cathedral in Segovia, there was a column where a bunch of people had carved their names or initials into the stone over the years. This wasn’t the only church where I saw this, but it sticks out in my mind for to reasons. One, it was one of the first cathedrals I visited. And, two, the number of carvings on this particular column almost felt intentional. Like this column had been unofficially/officially chosen for visitors to leave there mark. Many of the carvings were accompanied by dates, which went back at least several decades. 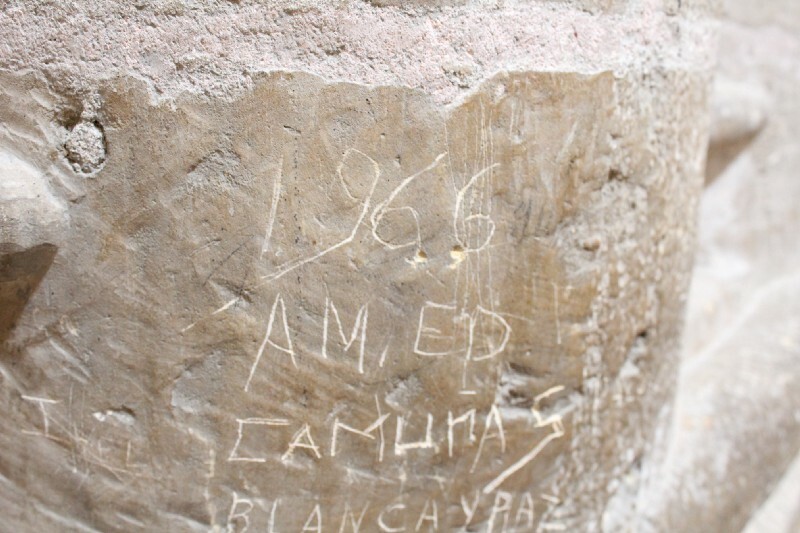 It seems that the builders of the cathedral weren’t the only ones who wanted to be remembered. It is a bit humbling, though, to be surrounded by so many tangible objects that were created so long ago and that are so much older than I or anyone else I know is or ever will be. Whether or not the people who originally built these churches were hoping to leave a legacy, they certainly have. These churches are still, in many cases, used by modern-day worshipers. I started thinking again recently about the desire that we as humans seem to have, but it was in a place very far away from the cathedrals of Spain. 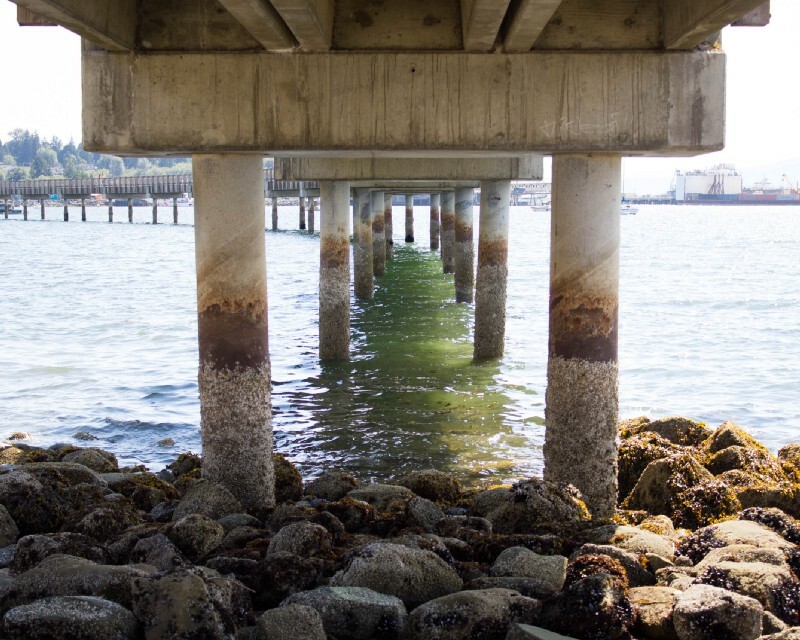 Underneath the bridge at Boulevard Park in Bellingham, Washington. Bellingham is a medium-sized town in western Washington, about 30 miles south of the Canadian border. I went to college there, and recently my boyfriend and I spent a weekend visiting the area. The town sits on the water, and if you go down to Boulevard Park, right on the Bay, you can take a footbridge that runs for about a mile along the shore. You can climb below the bridge as well where there is a small beach area. 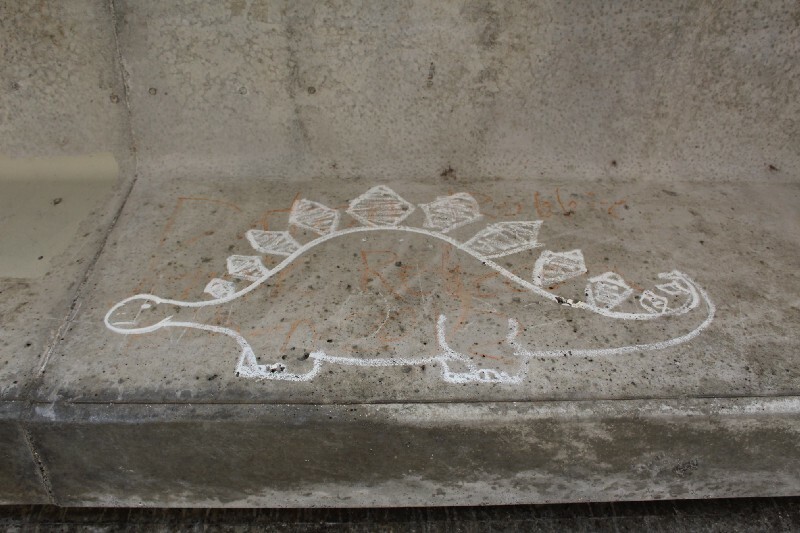 Explore the underbelly of the bridge, and you will find graffiti. 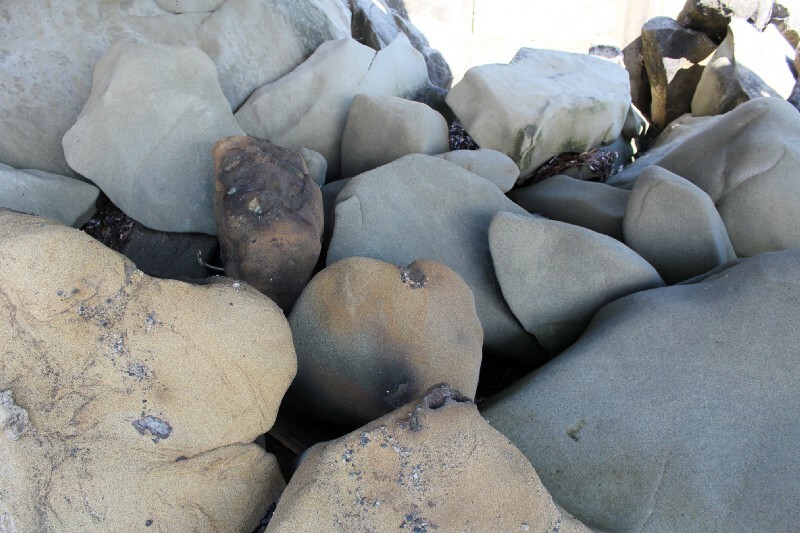 Rocks underneath the bridge at Boulevard Park in Bellingham, Washington. Graffiti underneath the bridge at Boulevard Park in Bellingham, Washington. It was here that I thought again about the cathedrals of Spain. I am under a bridge instead of a vaulted ceiling, and I am looking at graffiti instead of a statue of Jesus or a set of initials carved into stone in the 1960s. But the desire was the same, wasn’t it? To be remembered, to leave something behind. 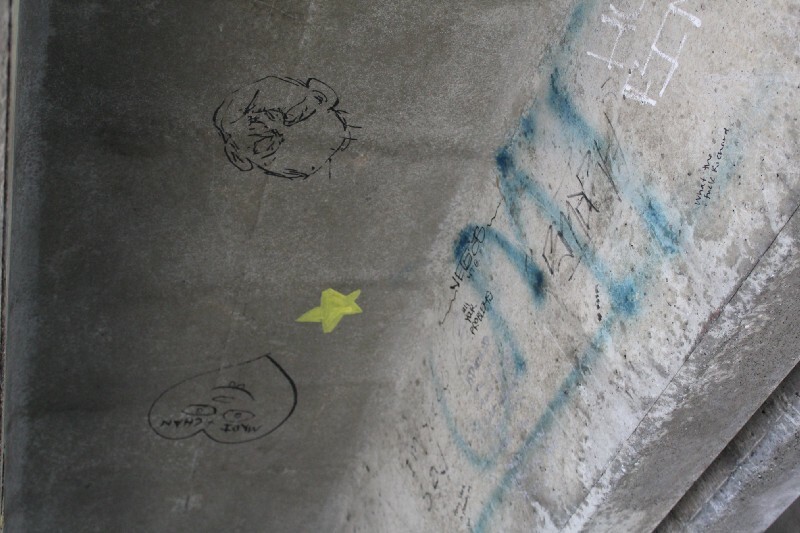 Graffiti underneath the bridge at Boulevard Park in Bellingham, Washington. Google tells me that is says “I want to hug you” in German. The graffiti and that bridge may not last as long as that cathedral in Segovia has. Or maybe they will. 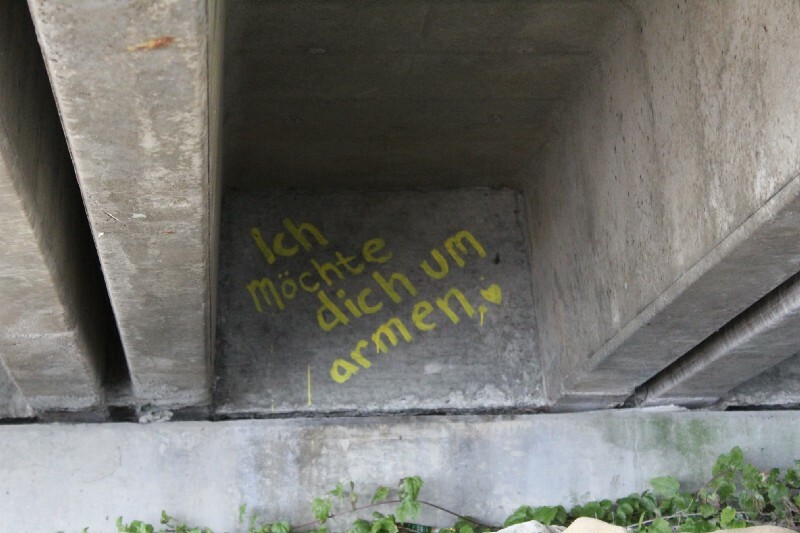 And maybe I am overthinking spray-painted graffiti of a dinosaur and a German phrase that Google tells me means “I want to hug you.” Or maybe I’m not. Writing this now, I remember something else: When I was in the fifth grade, a friend of mine and I took a permanent marker out to the playground and wrote our initials and the initials of our friends on the wooden underside of one of the playground structures. Fifth grade was coming to an end and we were all moving to new schools. It felt like the biggest moment of our lives. We wanted to mark how important it was. We wanted to be remembered. That playground is gone. The school has been torn down and rebuilt. But I remember it all the same.